The list will constantly be updated. Follow us closely! 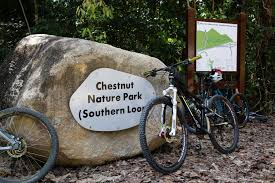 The 6km mountain biking trail at the fully completed Chestnut Nature Park will consist of varying levels of difficulty ranging from easy, moderately difficult, very difficult and extremely difficult. The 1.6km Chestnut Nature Park (South) mountain biking trail, which forms a loop, consists of sections that are mostly classified as moderately difficult, with one extremely difficult section. Examples of some sections are listed below. ​Opened in April next to the Central Catchment Nature Reserve, the park offers separate biking and hiking paths through 17ha of land. 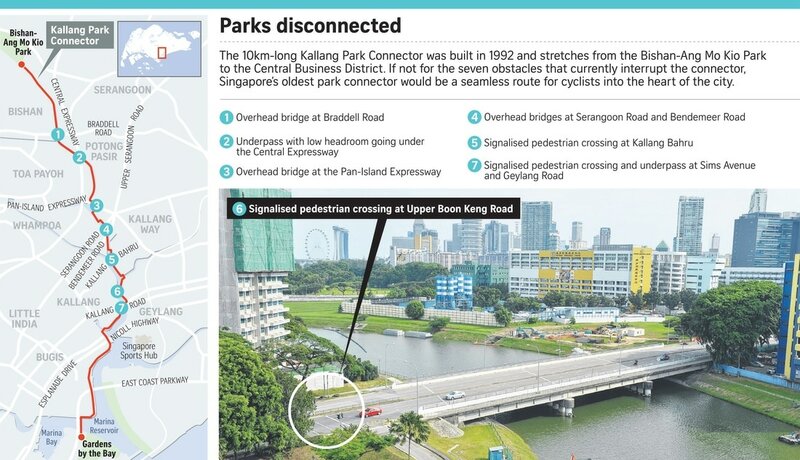 The cycling trail is currently 2.1km long, but will reach up to 5 to 6km long once the park's northern section debuts. You need to catch a 10-minute ferry ride from Changi Ferry Terminal to nearby Pulau Ubin, but it is well worth the effort as you get to enjoy the island’s good food, rustic charm and, of course, its mountain-biking trail. One of the newer bike trails in Singapore, Ketam has found favour with cyclists for its sandy, dry path and a bird's-eye view of Pulau Ubin at its highest point. But should the mood for an adventure strike, consider hopping onto a bumboat and head on down to Ketam Mountain Bike Park on rustic Pulau Uban for a ride that will allow you to push your mental, physical and technical limits. A Ride Through Rustic SingaporeThe great thing about any ride out to Ketam Mountain Bike Park is that it takes you through good old Ubin village. Pulau Ubin may only be 10-minutes away by bumboat from the Changi Point ferry terminal, but the difference between the island and mainland Singapore is drastic. The moment one hops off the boat, one is immediately greeted by an idyllic laid-back Kampung vibe, complete with buildings that look exactly like they did back in its heyday. The great thing about the main network of mountain bike trails on mainland Singapore is that the majority of them are located in and around the Central Catchment area. 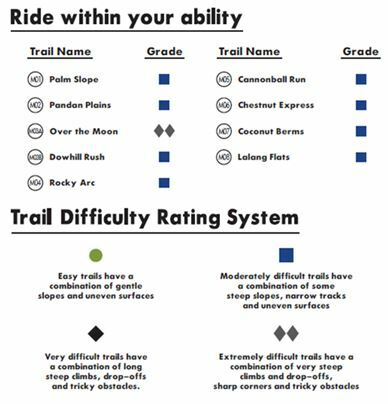 From cross-country Bukit Timah, with its steep lung busting climbs, to the smooth flowing trail in Chestnut South, and Mandai’s Track 15 in between, there’ll be a trail to suit any mood and a feature to practice your techniques on. Perfect as a base to fuel up with snacks and a coconut or two, the village is home to a number of bicycle shops offering rentals and facilities for simple repairs. For those looking for a post-ride indulgence, there’s even a seafood restaurant with hearty fare on the menu. 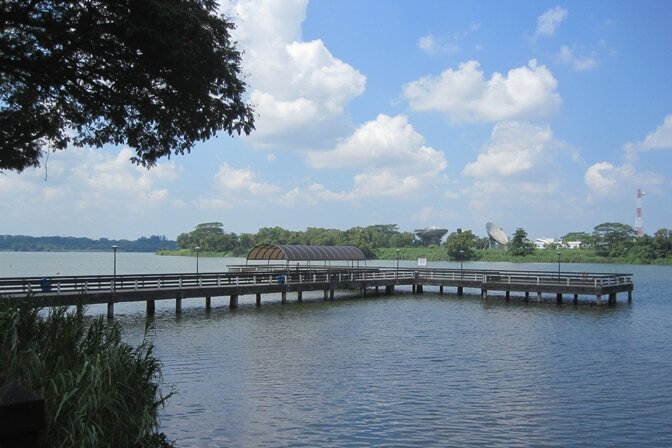 An ideal ride for nature lovers, the Northern Explorer is a 1-2 hour, 11km ride that starts at Lower Seletar Reservoir Park and takes you all the way to Woodlands Waterfront, one of Singapore’s longest coastal jetties. As you cut through the dense, gravelly path of the Ulu Sembawang Park Connector, you head into Admiralty Park where you can see an amazing array of wildlife at Sungei Cina’s fresh water mangroves, grasslands and swamps, Singapore’s only freshwater swamp habitat. When you get to Woodlands Waterfront, you won’t fail to be astounded at the views of the whole of the coastal park and the Straits of Johor. 4. Kallang River - 10km, Scenic Ride - A must GO! 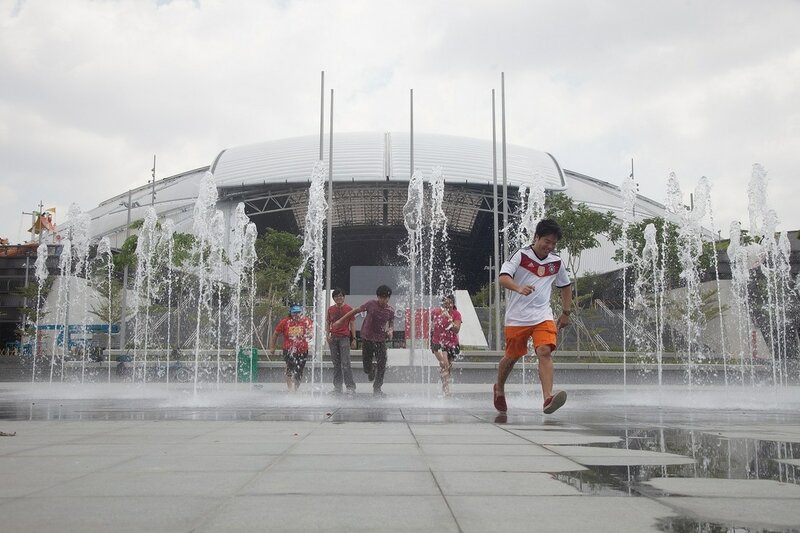 If you want to go cycling in Singapore, the ride around the Kallang River basin is perfect for those who want to combine sport with sightseeing! You start at the world-famous Marina Bay Sands resort and en-route you’ll pass the Singapore Flyer, The Float @ Marina Bay, Esplanade Drive and onto Merlion Park. Don’t forget to take your cameras because you won’t want to miss the stunning skyline views including the Helix Bridge, the ArtScience Museum and the Marina Bay Sands resort. Food and drink in the city is expensive so take snacks as well as plenty of water and it’s a pretty busy cycling route so take care! 5. Western Adventure Loop (12 KM, Scenic and relaxing - A Must go! 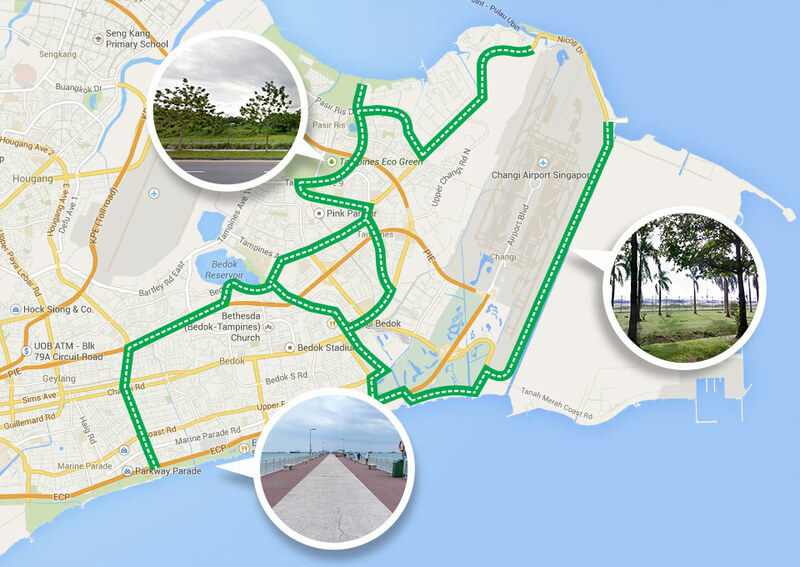 Cycling in Singapore is perfect for nature lovers and this 12km route is no different. Starting at Choa Chu Kang Park, keep an eye out for Pacific Swallows and the White-Bellied Sea Eagle and even two butterfly gardens and be careful of the uneven terrain as you get into Zhenghua Park. 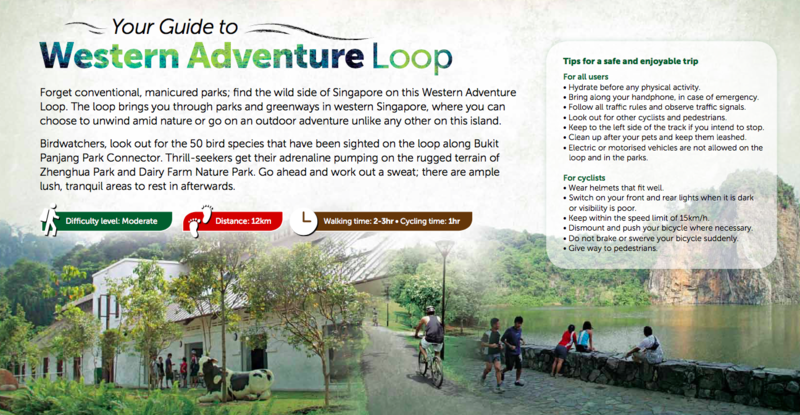 The route takes you through Dairy Farm Nature Park and past the Singapore Quarry where there are photo-ops a-plenty with the wetland’s cliffs overlooking a peaceful lake. Your final destination is the 36-hectare Bukit Batok Nature Park to see the famous orchid garden as well as a touching WWII memorial. Once it fully completed it will become a wonderous cycling ride to behold! 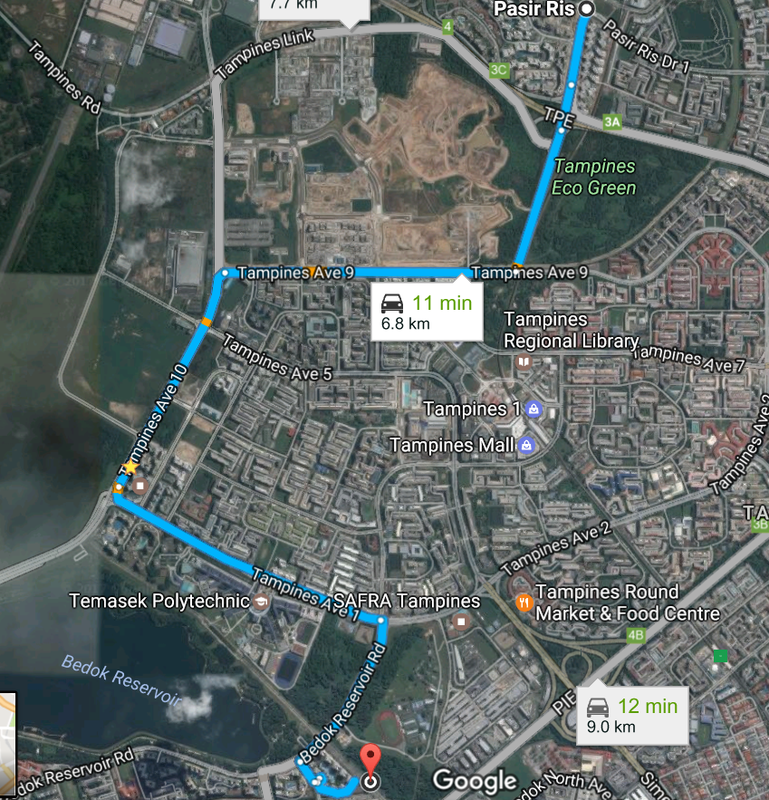 ​One of the easiest connectors to navigate, it’s a 17.5km trail which takes you from Pasir Ris Town Park to East Coast Park. You can rent bicycles from the PCN Pitstop starting point at Pasir Ris Town Park before passing through open grasslands, freshwater wetlands and lush trees along Tampines Eco Green and Bedok Reservoir Park. It’s also a good spot to stop for lunch or dinner—Bedok Food Centre is around the corner and popular bistro Wawawa (901 Bedok Reservoir Rd., 6285-8038) overlooks the reservoir. The loop ends at East Coast Park where more dining options can be found at Parkland Green (920 East Coast Parkway), a relatively new cluster of bars and restaurants such as Western cafe Sandbank (#01-28-32 Parkland Green, 6346-7988) and microbrewery Full Pint Brewery (#01-20-24, Parkland Green, 6342-0244). 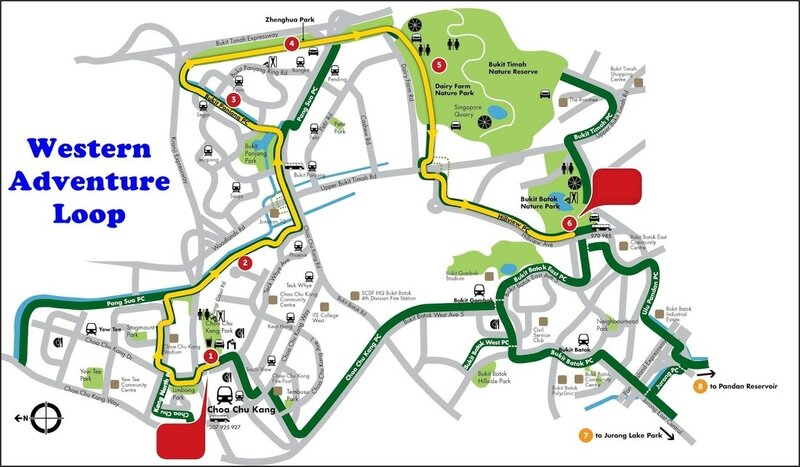 With over 7km of well-maintained track and excellent bicycle rental facilities, novices flock to Pasir Ris Park to get to grips with bikes (and horses should your inner equestrian leap out at you) and enjoy the tranquil beach setting as well as ample shade offered by the sprawling ancient trees dotted throughout the park. There is even a stretch which passes through the mangrove forest for you to have a moment communing with nature. With a designated path for cyclists and minimal slopes, humps and bumps, this is the perfect place to build up your confidence on two wheels. When your cycling is done, pop into one of the park’s cafes for a bowl of fries and a glass of something refreshing. You’ve earned it! MORE WILL BE ADDED....THIS LIST NEVER ENDS! BOOKMARK US!